I may not care for many musicals, but I do like traditions. This week’s topic for the Blog Cruise is Family Celebrations and Holiday Traditions. We all have special things that we do or foods that we eat that make family time special. I am really looking forward to Thanksgiving. Known as Turkey Day by many, this holiday is so much more than just turkey, stuffing and pumpkin pie. For years this has been my family’s favorite day to celebrate. This is the day that we give thanks to God for *all* that He has done for us and all that He has given us. Some years we have even given “thanksgiving gifts”. It’s been a few years since the girls have received gifts but this year, thanks to the TOS Review Crew, they’ll be getting a gift. The gift this year supports another long time family Thanksgiving tradition: game playing. We love board games. We spend the whole day playing different games. This year we’ll be trying out the new product for the Review Crew but I suspect that we’ll also be pulling out some family favorites. After we feast on some perfectly roasted turkey and mashed potatoes that do not need to be dressed up with gravy, we’ll watch the Charlie Brown Thanksgiving DVD. For the western Christian world Thanksgiving weekend flows into the first week of Advent. For Orthodox Christians following the revised calendar, Advent begins November 15. As I type this blog I look around the room I spot several fall harvest or Thanksgiving theme decorations. In stark contrast stands the out of place Advent Chain. 7 links shorter than it was on November 15, it hangs next to the door as a reminder that we are preparing our hearts for the coming Savior. Each link contains a bible verse or passage that relates to the Incarnation of Christ. Though this is a fairly new tradition for my family, it is a tradition we enjoy. In the evenings we gather in the living room and Daddy reads the passage from the Bible. We’re not always consist with reading each evening. Usually we skip a night or two and then read 2 or 3 links. When I was growing up I loved Christmas. We would have an advent wreath and a Christmas Tree and presents and a turkey dinner. My husband and I wanted Christmas to be very special for our children as well. We adopted some traditions from his family and some we discovered on our own. And then, for awhile, we did not celebrate Christmas at all. Now that we are celebrating Christmas again, we search for new traditions that we can share with our daughters that perhaps in the (not as distant as it once seemed) future they can bring to their children..
Winter becomes spring and in our family the spring brings the first birthday of the calendar year. The birthday girl (or I guess person. Honeybear is NOT a girl) gets to set the menu for the day. Choosing favorite meals strikes me as the most common birthday tradition among my friends followed closely by choosing a favorite restaurant for dinner. But what do we really look forward to here? Breakfast. The day after. We eat left over birthday cake for breakfast the day after a birthday. I don’t allow ice cream but I make sure we drink milk. Spring ushers in Easter as well as birthdays. For years we’ve struggled with what to do. Not anymore! In 2010 we declared a new family tradition for Pascha. (Pascha is Greek transliteration of Passover, but for Orthodox Christians it is the Feast of the Resurrection of the Lord). Paschal Divine Liturgy begins at Midnight and after feasting at 3am with church family we crawled into bed for a few hours of rest. Sometime in the late morning we had “breakfast” or “brunch”. We ate bacon. We ate hard boiled eggs and we treated our taste buds to Pascha Cheese which is really more like a cream cheese frosting. I’m quite certain it is a tiny sliver of heaven here on earth. Although you can eat the cheese with a spoon, it is especially divine with Pascha Bread. We feasted on two different types of Pascha bread (one in the Russian tradition which is sweeter and one in the Greek tradition both are excellent). After this informal snaking style meal, we decreed that it should from that day forward be a family tradition to eat bacon, eggs, bread and cheese. Like glue, traditions bind family members together. It isn’t the tradition itself or the length of time that makes it so sticky. It’s the heart desiring to make memories and passing from one generation to the next the beautiful idea of family. What are some of your family traditions? What things do you do make an event a celebration? 1) Boy, it sure would be nice if my kids could take off as much time as yours do. 2) But what about socialization? 3) You don’t have a job, you only home school so you can do this for me. 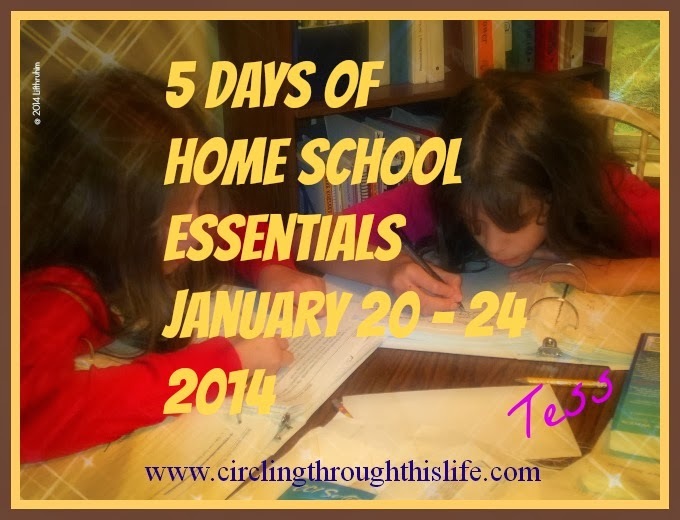 This week’s TOS Crew Blog Cruise addresses myths of homeschooling. I don’t know if the questions and comments I encounter are truly myths but they do represent some misunderstandings of home education. Let’s look at each of these comments. Boy, it sure would be nice if my kids could take off as much time as yours do. Home education is flexible. We are not limited to Monday through Friday from 8am to 2pm (or 9-3 or what ever the public school hours are). We can school any day of the week! We are not restricted to September through June (or August through May). We can school year round or use a more traditional school calendar. I plan our school year so that we meet the legal requirements of our state (equivalent instructional hours) and the personal goals and requirements my husband and I set for our girls. It may appear that my girls have more time off, but the reality is that we just have a different schedule than our public school district. But What about Socialization? I would almost be willing to bet that this would be classified as the number 1 homeschooling myth: home school children are not socialized or do not have social skills. I want to take a moment and explore a different meaning of the word socialization. According to the American Heritage High School Dictionary the first definition listed is :”to place under government or group ownership or control”. With that denotation first and foremost in my mind, I reply I do not want my children socialized. I choose to home school because I do not believe my children belong to the government. The second definition states “to make fit for companionship with others; make sociable”. I do not believe the primary purpose of public education is socialization by this definition. For the naturally outgoing child, public education may provide more of an outlet for social opportunities (chatting during lunch hour or on the bus or before the bell rings) but (and I could be wrong) I don’t remember any classes teaching me specially how to get along with others and to be a companion. And for those children who are naturally shy or find crowds difficult, public education provides rich fodder for anxiety. I believe that it is imperative that we teach our children to love others as Christ loves us. I believe that all children need to learn how to work with others and to give and take in relationships. It is a myth that home school children do not have the opportunity to learn these skills. I love answering questions about home education and sharing about how it works for my family. If you have a question I’d love to hear from you! Check out the Crew Blog for this week’s Cruise to see what other myths Crew mates are debunking! I sit staring at the computer screen and I wonder what to write. It’s day 11 of the Gratitude Challenge hosted by my friend Brenda at Garden of Learning. Should I write about my oldest daughter and how thankful I am for the young woman she is becoming? Should I write about my second oldest daughter and how much we appreciate life because of her? Perhaps I should write about my only dark haired daughter? I could write about how thankful I am that she comes to me when she needs to talk. Then there’s my youngest daughter. No one can make me laugh the way she does. How can I not be grateful for laughter? I could write about my husband. I don’t always appreciate him though, the way I should. I often take him for granted and expect so much of him, but he loves me anyway. I give thanks that he loves me enough to put up with me. It’s getting late and I still haven’t decided what to blog about. Maybe I should blog about the sunshine we’ve had this week. It’s unusual to have so much sun in the month of November. I’m tired. It’s late and I want to go to sleep. I know what I’ll write about! I’ll express my thanksgiving for my comfortable bed. I love my bed. It’s a pillowtop mattress neither too hard, nor too soft. The Blog Cruise question this week explores graduation requirements and high school transcripts. We’ve just started this new educational season with a 15 year old tenth grader. Poor BooBear! As the oldest child, she is my guinea pig for everything and that includes this home school stuff too. We stumbled our way through 9th grade but realizing that high school was a present reality and not some distant concept, we’ve come up with a plan, a rough around the edges with wrinkles in the middle plan, but a plan nonetheless. Legally, as a home school parent, I am not obligated to follow the state’s list of mandatory classes when setting the standard for my school. We’re using suggestions from our state home school group and suggestions from Lee Binz, the home school scholar. Though I can find recommendations such as 4 credits of science, 4 credits of English, etc, I still had to determine what constitutes a credit. High school credits are not configured the same as college credits. For some courses this is easy. If my daughter takes Geometry and completes the textbook, she gets 1 credit of geometry. But what about courses we create on our own such as a music history class or a photography class? In those cases record keeping is essential. The student must record what they are doing and how long it takes them to complete the task. We’ve set the standard for “independent study” types of classes as 180 hours of work is equal to 1 credit. I’m using Homeschool Tracker Plus and The Old Schoolhouse High School Planner to plan out high school courses and keep detailed records. HST + has a transcript report that will take the information I input and spit out a transcript. BooBear has a copy of the TOS High School Planner and she is responsible for recording work that she does independently towards her music and photography credits. I’ll use those logs to input grades into HST +. I think by the time Tailorbear enters high school, I just might have the wrinkles smoothed out on the planning process. Her requirements will be slightly different than Turtlegirl’s which are slightly different from BooBear’s but the principles will be the same: giving them what they need in high school to become successful adults. Brenda at Garden of Learning has issued a Gratitude Challenge for the month of November. The challenge is simple, write about what you are grateful for each day. Today is Day 7 and I am thankful for Sunday School. Now if you know me, you’ll know that is a 180 degree turn from where I was at just 18 months ago. I do still believe that parents are responsible for passing their faith to the children. But I’ve also come to view the church as a community; as being truly the body of Christ. Sunday School (or Church School as some call it) is a community effort of passing on the faith to the children. It’s not that I “pass the buck” and shed my responsibility more that I join with others to share the burden. Sunday School doesn’t replace parental responsibility; it joins the parents to the community building the Body of Christ. am grateful for those who have walked the path longer than I have who are willing to come alongside and share this task. Today I am especially thankful for assistant teachers! I agreed to teach the Preschool class this morning and though I was prepared, I was late. Rushing into the room, I found the Mrs. S with the boys gathered around her, reviewing the previous week’s material. She had laid out the carpet squares for the boys to sit on and opened in prayer. I’m also thankful for teenagers. My teenagers to be exact. I needed help getting the boys over to the church after Sunday School and my 13 year old and 15 year old were in the right place at the right time. One more Sunday School related thank you: thank you to whomever it was that invented cellophane tape. Taping strips of paper to make a rainbow frame is much easier than trying to glue strips of paper to make a project especially with boys! My Friend Brenda is hosting a Gratitude Challenge on her blog, Garden of Learning. It is very simple; post something you are grateful for every day for the month of November. Some days are easier than others when being thankful. Today is one of those days. My husband and one of my daughters attended a lector workshop at church this morning. My sweet husband got up, showered and headed over to the store to bring back donuts for our breakfast. He grabbed some coffee and our daughter and headed out again. I would have enjoyed my coffee and donuts more if he had been around but I’m still thankful for the breakfast treat. I purchased around $110 worth of groceries for around $60. My favorite green beans were on sale for 39 cents a can. I only buy them when on sale and usually the sale is 50 cents a can. It just felt really good to get milk, bread, eggs, canned goods and even some fish and saving more money that I spent! Today is the 1st Saturday of the month. Why is that important? Around here that means it’s bookmobile day. I didn’t go to the bookmobile but my sweet husband took all four girls over to the bookmobile and brought back the books and dvds we had on hold *and* he picked out a book for me to read. He’s usually good at picking books I’ll enjoy so I look forward to reading this one. First Saturday of the month means that tomorrow is the first Sunday of the month and that means it is First Sunday Potluck at church. My oldest is making brownies. Oh they smell so good right now! I am thankful for a wonderful teenage daughter who loves to bake and for a wonderful smelling kitchen. Now if I could just sneak a small bite of those brownies. For Day 5, I am thankful for computers. When we were first married we had a computer but it was a simple machine and we had no internet access. 14 Years ago we entered the online world with our first email account. We were in Germany and we decided to get internet access with an email account so that my husband and I could communicate electronically while he was deployed. We had “dial-up” access for many years but switched to “dsl” maybe 3 years ago. I love being able to have access to my phone *and* access to the internet at the same time. Today we have 4 computers: two laptops and two desktops. We have a wireless router home network and all four computers are networked with access to the internet. I really didn’t think we would need so many computers. I find home schooling my children easier with computers. Oh I don’t necessarily mean easier by having two of them take online science classes through a virtual home school group, nor do I mean easier because we use a computer based curriculum for a few subjects. I mean that administrative aspect of home education is easier with a computer. I use a software program to keep records. I’ll be able to use those records and the software to create transcripts. I use the software program (Homeschool Tracker Plus in case you were wondering!) to help me plan and schedule lessons. I am grateful that computers with internet access provide enrichment for our home school. If the girls have a question, or want to go deeper in a subject, we can use the internet to find the answer or go to the library catalog and request books. I’m grateful that my husband bought me a laptop a year ago for our anniversary so that I don’t have to share with the girls. I can do what I need to do on the computer and the 4 of them have 3 other computers they can share. Today is November 4th. Well at least for another 2 hours it is. On this day, 77 years ago, my grandfather took my grandmother to be his lawfully wedded wife. Both of them have gone from this world, but I am so grateful for them. I once asked my grandmother how she met my grandfather. She was a storyteller and I was sure I was going to get a story this time, but she only smiled and said “I don’t know. I suppose we was just crawling on the floor while our mothers talked.” She and my grandfather grew up together. They were childhood sweethearts. I miss them both so much and I am grateful that they got married 77 years ago. If they had not married, my father would not have been born. Thanks Papa for rescuing me from the snakes and making sure that Daddy bought me steak dinners. Thanks Granny for teaching me how to make applesauce and sausage gravy and telling me stories. My your memories be eternal. My friend Brenda from Garden of Learning is hosting a Gratitude Challenge during the month of November. Today is day 3 and I am thankful the van did not start. That sounds strange doesn’t it. The girls were disappointed to miss piano and I was sorry they missed their lessons but I am grateful I did not have to go anywhere today. I was able to get some things done today that I needed to do and wouldn’t have done if we had gone to piano. If the van had started, Honeybear would have taken it to work and we would have had the car. We’d have gone to piano and I would have stressed out about the things not getting done. Tonight I am also grateful that we have two vehicles and that my husband was able to take the car and go to work. I’m thankful he has a job. With so many people out of work and the economy the way it is,I am grateful that he has a steady job with benefits. A class that covers financial accounting principles is a must for anyone wanting to be in business. Professor In A Box offers a course in Financial Accounting for home schooling high school students. As part of the TOS Review Crew, I received Financial Accounting from Professor in a Box to review. How is Financial Accounting set up? How does it work? Financial Accounting really is a Professor in a Box. Michael P. Licata, Ph.D presents Financial Accounting on 4 CD-ROMS containing everything you need to complete the course. There is nothing to install; the program runs from the CD. This means that I can have my student use any available computer giving me flexibility for scheduling. CD-ROMs include 1 Instructor’s CD and 3 Course CD’s. To use the CD-ROM just insert into the CD/DVD ROM Drive and wait for the auto run prompt. We have successfully used this on my laptop running Windows 7 and on my husbands laptop running Windows Vista. On our Windows XP desktop, our Auto Play does not work, but I am able to go to ‘computer’, click on the drive containing the CD and bring up the menu for Financial Accounting. This is not a traditional course and does not contain a textbook. Material is presented to the student via audio lecture with a slide presentation. Exercises and Problems are included as PDF files to print. What’s on the Instructor CD? This is a supplement CD and contains an introduction from the professor, two different suggested lesson plans, quizzes, exams, a course syllabus, excel templates, and a link to the website. There are quizzes for chapters 2-12 and 3 exams that cover 4 chapters each. The quizzes can be taken after completing each chapter or you may choose to take the quizzes at the end for a CLEP style exam. Solutions for the quizzes and exams are also included. What’s on the other 3 discs? Each disc contains the Chapter Lectures, Problems, Solutions, Key Concepts and Printable Slides. Disc 1 contains chapters 1-4, disc 2 contains chapters 5-8, and disc 3 contains 9-12. Professor in a Box breaks each chapter lecture into 2 or 3 parts with 15-40 slides per part. Describe a typical chapter or lesson: I printed out both lesson plan suggestions from the Instructor’s Guide so that I could compare them. Lesson Plan A is the full college course where as Lesson Plan B lists slides and problems that may be skipped. Both contain all the necessary content to prepare a student for the CLEP exam. Both plans divide the 12 chapters over 28 lessons with three formats suggested. For the College Semester option the student would complete 2 lessons per week for 14 weeks. The Summer School format has 9 weeks with 3 lessons per week. We’re doing the the Full Year format which suggests taking 1 week to do 1 lesson for 28 weeks. A Typical Lesson will take an average of 3 hours. The Lesson Plan breaks down assignments into 3 or 4 parts and gives a time estimate for each part.. Using Lesson 6 as our example we see that this week we will need to review the solution to problem 3-2 (5 min), View the Chapter 3- Part 1 Lecture working through some problems while you view the lecture (60 minutes), read Key Concepts and Terms (10 min) , and Homework (75 minutes). The total estimate for this particular lesson is 150 minutes. Because you can pause the lecture and move to any slide within the lecture, it is possible for the student to take a break while viewing the lecture slides or even to decide to spread the lecture over 2 or more days or sessions. It does not keep your place, but it is easy to get back to where you left off. Thoughts from my student: I assigned Professor in A Box to BooBear. She is 15 and most of her work is at a 10th grade level. She has plans to become a private piano teacher with her own studio someday. We both feel this course is perfect for those plans. My Thoughts and Impressions: I really like the format. I really felt like I was attending a lecture but with the advantage that I could take a break without missing anything. I appreciate that the slides can be viewed separately. With the slides being available separately, I could go back and re-read slides without having to listen to the lecture again. If I were a student, the Key Concepts and the Slides would provide what I would need to review and prepare for quizzes and exams. I think for students preparing for the CLEP, it will be very valuable to be able to return again to the slides and review the Key Concepts. Although this is a business class, I am finding the principles of accounting found in the first 4 chapters inspiring for getting my household budget/finances in order. I will be requiring Turtlegirl (8th grade) to take this course soon and I will be requiring Tailorbear to complete it when she is in high school. I want to make time to really work through it for myself. I’ve learned quite a bit from just reading through the key concepts and viewing slides and listening to a few lectures. At the time of this review, Professor in a Box is on sale for $99. This is an online promotion. According to the website, they have a Marketing Course that ships in Mid-November and another business class is expected in the spring of 2011. Contact information for Professor in A Box is available by clicking here. Click on the banner below to read what my fellow crew mates have to say about Financial Accounting from Professor in a Box. Disclaimer: As a TOS Crew member, I received Financial Accounting from Professor In a Box free of charge for review purposes. I received no compensation. Today I am thankful for God’s provision through the TOS Review Crew. I wrote about how I came to be on the crew here. I was excited then to see how God would work and I am amazed at what he has done and is doing. Every product that we have received to review, so far, has either been exactly what I needed (at the exact right moment!) for school *or* has been used by God to cause me to grow. I don’t really have the words to express how loved I feel by God right now. I believe He works through people and circumstances and He worked it out so that I would receive this product. It may seem like a small thing but we have really struggled with writing programs and I am grateful and excited to be handed this one. But the Crew has been an incredible experience in other ways as well. There are some wonderful people who are a part of this year’s TOS Crew and I am blessed by the friendship. Brenda from Garden of Learning has challenged her readers to a Gratitude Challenge. I’m going to post one thing that I am grateful for each day for the month of November. Today I am thankful for my Church. I’m thankful for Orthodoxy and I’m thankful for my Parish that strives to live out the Faith. We had such a wonderful time last night at the Spaghetti Dinner. Tonight we are enjoying some of the cake Supergirl won as well as the cake I won. Speaking of winning, I am grateful to Debra at Footprints in the Butter for posting the What’s in the Bible Give-away which I won! Thank you so much Debra! For this week’s Blog Cruise topic Jodi asks What are some volunteer opportunities that your family has participated in? What a timely topic for me this week as we just had a volunteer opportunity for our whole family on Friday and today (Sunday) two of my girls have volunteered to help at church this afternoon and just last week we were scheduled for a third volunteer opportunity. As homeschoolers, I think we often have more time and opportunity to give back to our community through volunteering, but life is full of seasons and some seasons do not allow for as much volunteering as others. With the girls being older and more independent we can volunteer more. When they were so little, it just wasn’t the right season. If you only have little ones, it may not be your season right now either and that’s ok. This past Friday our whole family participated in Fifth Friday Feed the Hungry. On Fridays, another church hosts a dinner. I think several churches take turns for the different Fridays. Our church provides the meal and does the serving on the Fifth Friday. Our church asks for volunteers to help with cooking/cleaning up, transporting the food, serving the food, and more clean up. We’ve not been able to help every time the 5th Friday comes around but it has been a wonderful experience for my family. The girls and I go over to help the lady who does the cooking and later my husband comes to help transport. We all take turns helping to serve. Even supergirl likes to help though she’s not tall enough yet to reach! Our other regular volunteer opportunity requires a piano and a nursing home or rather a nursing home that has a piano. Some of our home school friends introduced us to playing piano for residents in a local nursing home. Once a month the girls and I head over to a local nursing home and my three piano playing daughters take turns playing music for the residents. Some times other families are able to join us and the children will sing a few simple songs at the end. As I type this post, my husband has left to take BooBear and Turtlegirl over to church. The girls have volunteered to help out with tonight’s Family Fun Night. I’d like to give back more to the community. I’ll be looking for more regular opportunities for my family or even for myself to volunteer. We’ll continue also to respond to the call for the occasional volunteer for this or that. For us, volunteering is a way that we demonstrate the love of God and the light of Christ.